My Top 10 Favorite Best Gifts for Teachers! What are the coolest gift ideas for teachers? Got any teachers in the family? 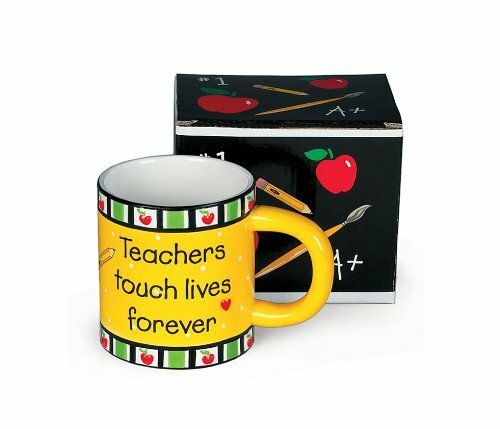 Or maybe you want to find a special gift for your child’s teacher in school? I hope you’ll enjoy my suggestions and find an amazing gift for a very special teacher! This is a fun and pretty creative gift idea for a teacher! “My teacher is FUN!” written in big, colorful letters with your child’s name at the bottom! What a beautiful gift idea for teachers! The colors are gorgeous and the message is so true! It also comes in a beautiful decorative gift box! 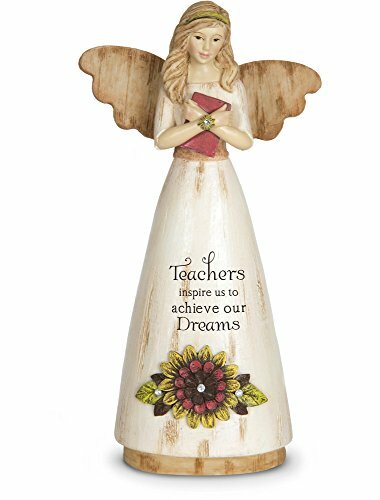 If you are looking for a beautiful and meaningful teacher’s gift idea I think your heart will melt with this gorgeous teacher angel figurine for sale! The angel figurine has a beautiful distressed wood finish and it’s highly detailed. This is one of the most beautiful gift ideas for teachers being sold in my opinion! 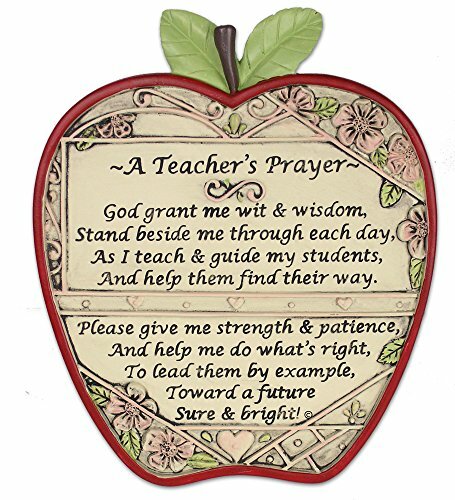 It is an apple shaped plaque that reads the most beautiful prayer to inspire teachers every day before they go in the classroom! Will definitely inspire them to be the best that they can be! This is a beautiful book for teachers, full of inspiring stories that will definitely renew passion for teaching and changing lives! 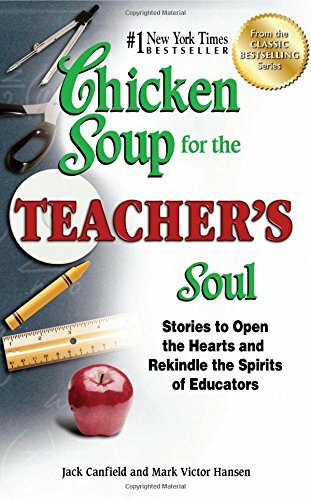 You can never go wrong with the ‘Chicken Soup for the Soul’ books! 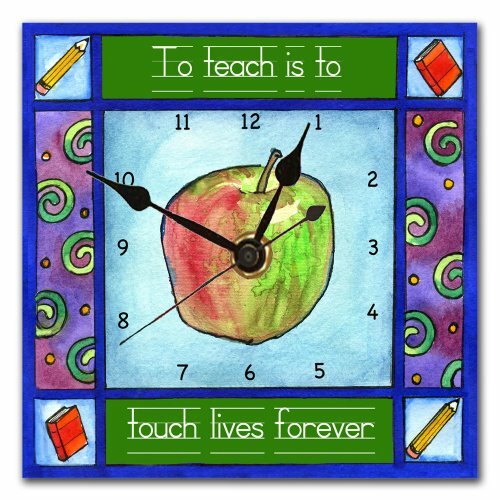 How about a Teacher Wall Clock? This is a very cute gift for teachers! Their very own ‘teacher wall clock’! 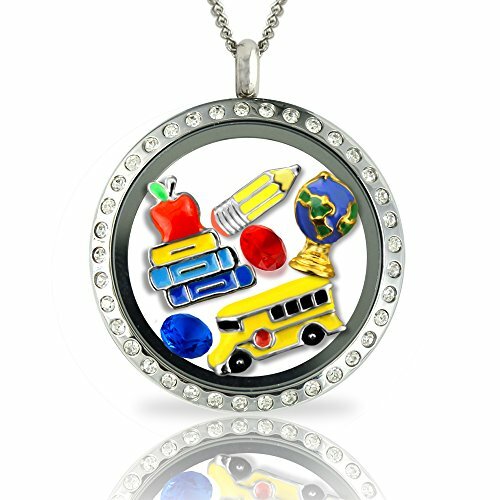 Beautiful Floating Charms Locket Necklace for Teachers! Best Teacher Gifts! Floating Charms Locket Necklace and Charms – All Charms, Pendant and Chain Included! How fun, colorful and gorgeous is this teacher’s necklace for sale? It comes with all the cute charms and the chain too. Fun and Colorful Bracelet for Teachers! 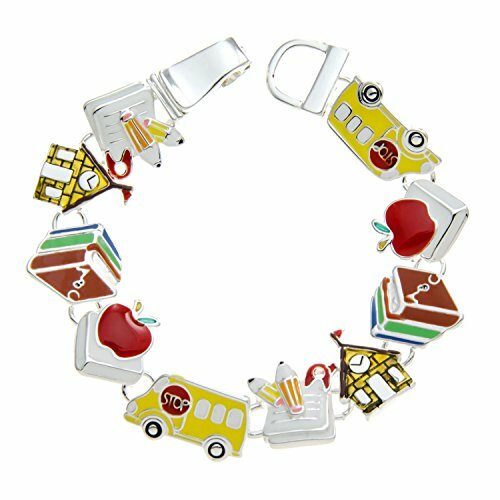 Now it’s time for a cute, fun and very colorful, cool teacher’s bracelet! Will put a colorful smile on her face every day before heading for class! Another FUN Teacher’s Bracelet for Sale! If you are looking for cool teacher’s jewelry to give as a Christmas gift for a special female teacher, look no further! These teacher’s bracelets are the best! I had to show you this one too! Each one says ‘I Love to Teach’! And last, but not least, in my selections of best gifts for teachers is this awesome teacher t-shirt for sale! Fun and colorful! 🙂 It says ‘This girl is a TEACHER!’ written in fun, colorful letters! Great gift idea for a female teacher in the family! I just found this beautiful and very touching song for teachers and had to share here too! *I hope you were able to pick a nice gift for your teacher here today!